The Wednesday, January 30 edition of the Monticello News includes a map, mugshots and overview of 45 sexual offenders and predators that are registered as living in Jefferson County. One is currently incarcerated in the Jefferson County Jail and another was recently arrested for unrelated crimes, as seen in Crime Beat in the same issue of the paper. 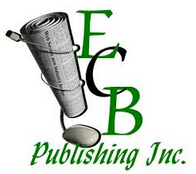 The list linked above was compiled and edited by staff at ECB Publishing, Inc. during the creation of this special section, with addresses and locations approximated to the best of their ability with the information received from the Jefferson County Sheriff's Office and cross-referenced with searches on Google Maps, Mapquest and Jefferson County Property Appraiser. To search specifically for offenders located near your address or neighborhood, or to see a more complete list of Florida's Sexual Offenders, including transients who are registered, visit the FDLE's Sexual Offender Predator System database and map.